This forecast was published 03/20/2019 at 7:10 AM. 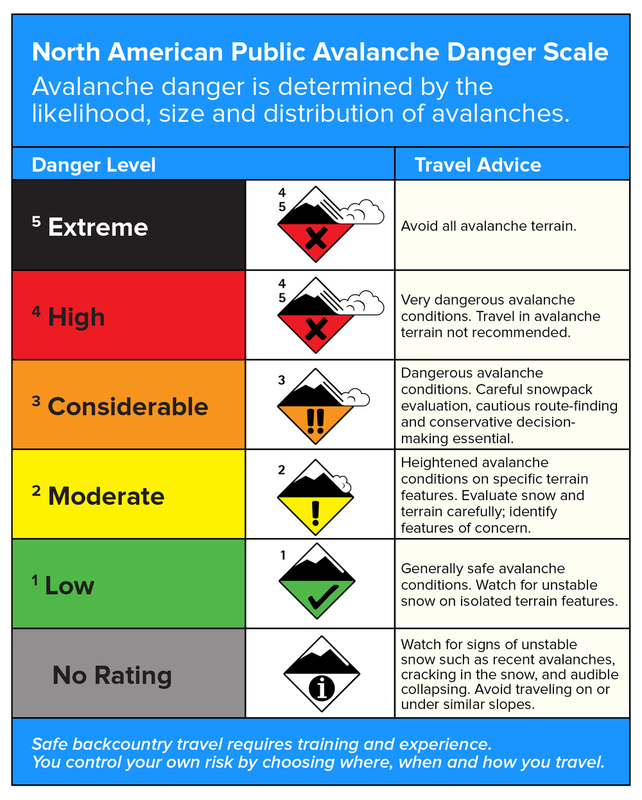 This is an archived avalanche forecast and expired on 03/20/2019 at midnight. Wind slabs formed over the weekend continue to strengthen under clear bluebird weather. 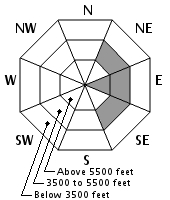 Generally stable conditions are found at all elevations, though unstable pockets may exist in steep east facing terrain where the slabs will be the thickest. Under clear skies today, you’ll be able to easily see large expanses of bright, white but generally thin wind slab in the Headwall of Tuckerman Ravine and higher in the gullies of the Gulf of Slides. Sunny skies and slightly warmer temperatures may soften south facing slopes in the ravines enough for some good skiing – maybe. For those seeking turns on sun softened snow, be mindful of the long sliding fall hazard on our largely refrozen hard snowpack. 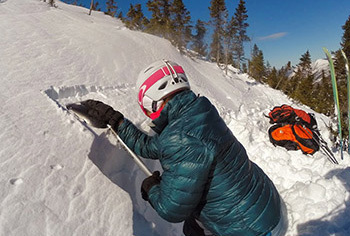 A thin edgeable layer of soft snow can result in a dangerous long sliding fall in steep terrain, and sun softened snow will refreeze quickly again with overhead clouds or a moving shade line. Crampons, an ice axe and your ability to accurately assess the chances for successful self-arrest are required for traveling on snow slopes today. 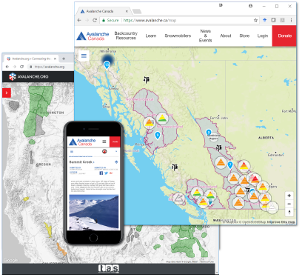 All forecast areas have LOW avalanche danger. Yesterday, blue skies accompanied by the sun traversing high overhead suggests spring, however a 45 mph WNW wind and summit high temperature of 4F reminded us the mountains are still locked in winter mode. Today, we start the day under clear skies with W wind shifting to the SW at 30-35 mph this afternoon. Once the wind shifts, clouds may fill in overhead as warmer air moves in, pushing the summit high temperature into the mid teens F. SW wind will continue into tomorrow bringing slightly warmer temperatures, increasing clouds and a chance of snow. Wind slabs formed from three inches of snow over the weekend have had time to settle and are likely unreactive to a human trigger. 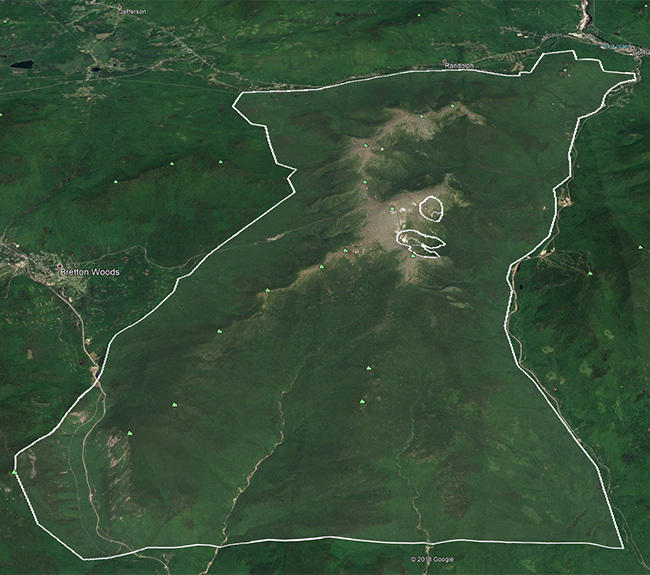 You’ll find the largest, most continuous slabs in steep east facing terrain at mid elevation with the largest fetch, including the Headwall of Tuckerman Ravine and the gullies in the Gulf of Slides. In other areas, you’ll find these slabs to be more isolated pockets intermixed with terrain scoured to the refrozen surface. On the west side of the range, you’ll find much more scoured, frozen bed surface but don’t rule out the chance to find isolated pockets of wind slab. At lower and mid elevations, southern aspects may warm enough to soften the snow surface, but we don’t expect this to result in any instabilities. Digging below this frozen crust you’ll find some a layered snowpack structure including dry soft snow, and even faceted weak layers, however due to the bridging power of this frozen crust it’s unlikely a human will trigger anything below, at least not until a prolonged rain event. This crust also presents a long sliding fall hazard. Typically a quick unexpected stumble, or very thin slab gives way, and turns into a rapidly accelerating slide for life downhill. Self arrest skills are often ineffective in stopping a sliding fall even in terrain that’s generally considered low angle like those on the approaches to climbs in Huntington Ravine. 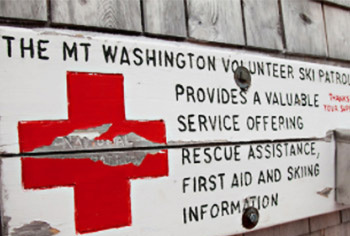 Long sliding fall accidents outnumber avalanche accidents in the Presidential Range. Posted 03/20/2019 at 7:10 AM.